Carrying the SecURITy Shield – U R IT! CyberZoology: Protecting your network from new breeds of attacks with a Raspberry Pi. IOT Home device under attack. Or how to scare a cat over udp. Evasions -Who needs Zero days ? Joseph Zadeh studied mathematics in college and received a BS from University California, Riverside and an MS and PhD from Purdue University. While in college, he worked in a Network Operation Center focused on security and network performance baselines and during that time he spoke at DEFCON and Torcon security conferences. 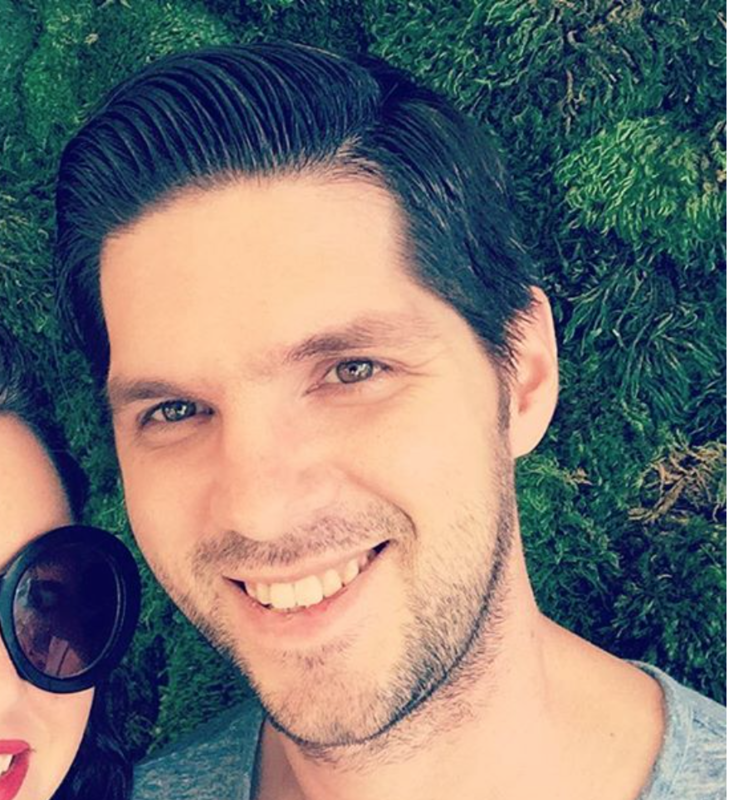 Most recently he joined JASK as Director of Data Science. 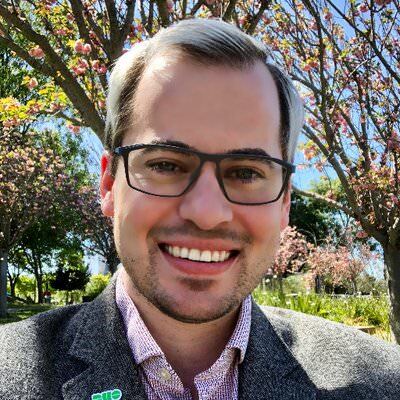 Previously, Joseph was part of Splunk UBA and the data science consulting team at Greenplum/Pivotal helping focused on Cyber Security analytics and also part of Kaiser Permanentes first Cyber Security R&D team. 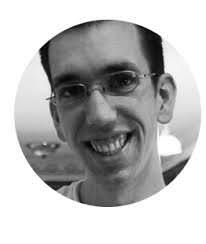 Rod Sotohas over 15 years of experience in information technology and security. Currently working as a Director of Security Research at JASK. He has spoken at ISSA, ISC2, OWASP, DEFCON, Hackmiami, Bsides and also been featured in Rolling Stone Magazine, Pentest Magazine, Univision and CNN. Rod Soto was the winner of the 2012 BlackHat Las Vegas CTF competition and is the founder and lead developer of the Kommand && KonTroll/NoQRTR competitive hacking Tournament series. Many organizations are struggling to validate whether their security controls are working as intended. In this talk Marcus will discuss how to leverage the MITRE ATT&CK framework in order to validate enterprise security controls for free. MITRE’s Adversarial Tactics, Techniques, and Common Knowledge (ATT&CK™) is a curated knowledge base and model for cyber adversary behavior, reflecting the various phases of an adversary’s lifecycle and the platforms they are known to target. ATT&CK is useful for understanding security risk against known adversary behavior, planning security improvements, and verifying defenses work as expected. 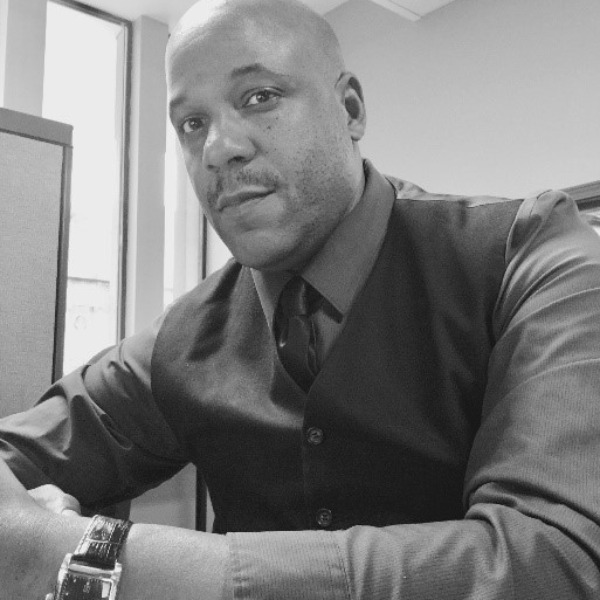 Marcus J. Carey is the founder and CEO of Threatcare. He is a hacker who helps organizations build, measure, and maintain cybersecurity programs. Marcus started his technology voyage in U.S. Navy Cryptology and working at the National Security Agency (NSA). Searching the file system for sensitive info – What to look for? Each of these methods will be discussed in depth, and will focus on work conducted on networks that were primarily Windows-centric (although the techniques can be applied to other areas). Each method will include plenty of screenshots, occasional pre-recorded demos, and functioning code to demonstrate the concepts discussed. 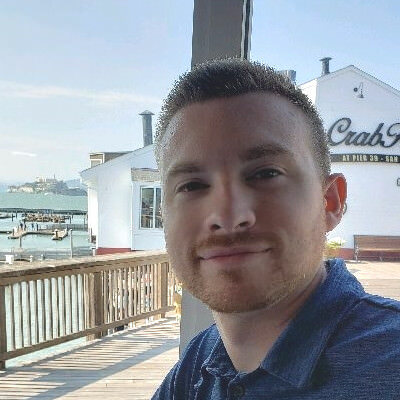 Jake Miller is a penetration tester for Jacobs Engineering Group, primarily focusing on web application and network security. Prior to penetration testing, he was a Security Controls Assessor, a SOC analyst, and a Navy Submariner. 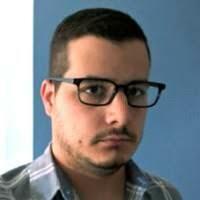 He blogs about security on https://laconicwolf.com, writes a fair amount of Python and PowerShell code on https://github.com/laconicwolf, and occasionally tweets (@laconicwolf). Aside from security and coding, he enjoys spending time with his family and participating in ultra-running and obstacle races..
Mr. Rob Joyce is the Senior Advisor for Cybersecurity Strategy to the Director of the National Security Agency (NSA). Rob has worked at NSA since 1989, holding various leadership positions within both focus areas of NSA: the Cybersecurity and Signals Intelligence missions. His previous assignment was Special Assistant to the President and Cybersecurity Coordinator at the White House where he led the development of national and international cybersecurity strategy and policy for the United States and oversaw implementation of those policies. He ensured that the Federal Government was effectively partnering with the private sector, nongovernmental organizations, all branches and levels of government, and other nations. In addition to the Cybersecurity Coordinator role, Rob was the Acting Deputy Homeland security advisor for six months and the Acting Homeland Security Advisor for a month, covering topics well beyond cybersecurity to include terrorism, health security and disaster response/recovery. Mr. Joyce began his career as an engineer and is a technologist at heart. He received his Bachelors Degree in Electrical and Computer Engineering from Clarkson University in 1989 and earned a Masters Degree in Electrical Engineering from The Johns Hopkins University in 1993. Throughout his career with NSA, he has been the recipient of three Presidential Rank Awards: distinguished (2017), distinguished (2011) and meritorious (2006). Mr. Joyce has served as a Scout Master and, until lawyers got in the way, enjoyed participating with the Boy Scouts in the annual World Championship of Punkin Chunkin, building a contraption to fling pumpkins for distance. Over the Christmas holidays, he runs a computerized light display synchronized to music, which is likely visible from the International Space Station. In recent months, we’ve witnessed a staggering number of ransomware infections, insider threats, massive social media security breaches and personal data being compromised at an alarming rate. When it happens to your organization, will you know how to respond to avoid the pitfalls that companies like Yahoo!, Equifax and Uber experienced or will you be subject to significant legal, financial and/or reputational losses? Is your "jump bag" ready to go? Internal & external communication plans established? Incident team members identified, and roles defined? In this session, award-winning cybersecurity expert Duncan McAlynn will share the top 10 critical success factors for a tactical & practical incident response, while sharing the pitfalls to avoid. Having spent the past 20+ years consulting Fortune 500s, government agencies & high education institutes, Mr. McAlynn brings a wealth of diverse backgrounds & learning experiences that he enjoys sharing with others. Joseph has a long history in event coordination; nearly 20 years of bringing infosec and Cyber Security education and events to attendees. The Texas Cyber Summit was created for the future. The San Antonio Cyber community is the second largest in the nation, and the Texas Cyber Summit hopes to help expand the number of Cyber Security professionals and those interested in pursing a career in the field. Education, Community, Involvement and training are the key. Blue Team CTF is a challenge meant to teach information security professionals practical incident response skills in an environment that very closely resembles a real enterprise network. Blue Team CTF includes a scaled down version of almost everything you would find in an enterprise network to include workstations, servers, firewalls, email, web browsing, user activity, etc. Simulated users are actually browsing the Internet, receiving emails, downloading files, watching videos, and accessing LAN resources. This creates a high fidelity training environment for unleashing real-world attacks and testing a responder's ability to filter out the noise and identify malicious activity on the network. Best part of all, Blue Team CTF leverages 100% free and open source solutions for threat hunting and forensics. Hands on Threat Hunting and Analysis of attacks on Industrial Control Networks. Mr. Marc Seitz Threat Analyst, Dragos, Inc.
Marc Seitz is a Threat Analyst, Threat Operations Center, at the industrial cyber security company Dragos, Inc. where he coordinates industrial control system cyber test lab functions as well as performing threat hunting services in ICS networks. Marc is a specialist in designing and implementing innovative simulated industrial environments to provide a safe and realistic training and attack simulation experience for internal and external analysts. He also conducts onsite vulnerability assessments and threat hunting services for customers in a variety of verticals. 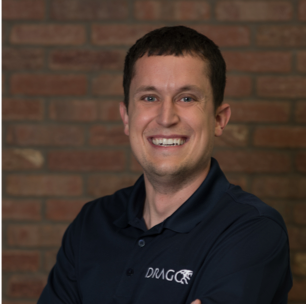 Mr. Dan Gunter Principal Threat Analyst, Dragos, Inc.
Dan Gunter is a Principal Threat Analyst at the industrial cyber security company Dragos, Inc. where he discovers, analyzes and neutralizes threats inside of ICS/SCADA networks. In this capacity, he performs threat hunting, incident response, and malware analysis mission for the industrial community. Previous to his role at Dragos, Dan served in a variety of Information Security roles as a Cyber Warfare Officer in the United States Air Force with duties ranging from Incident Response at the Air Force Computer Emergency Response Team to developing innovative capabilities for multiple Department of Defense partners. Dan has over 12 years' experience and has obtained the CISSP, GIAC GSEC, EC Council CEH and CompTIA Security+ certifications. 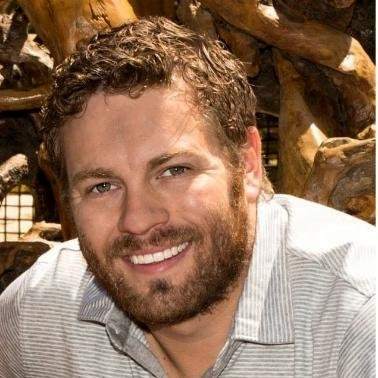 He also holds a Bachelor of Science in Computer Science from Baylor University and a Master of Science in Computer Science from the University of Louisville. Dan previously presented at Blackhat and Shmoocon. In this talk, we'll first dive into what it takes to create an effective IDS. We’ll discuss sensor placement and tuning to get maximum performance and visibility. Second, we’ll dig into leveraging Suricata for atomic indicators and enriching those alerts with Bro-IDS detections. The intention of this portion of the talk is to increase the confidence in an alert notification to reduce the amount of time spent on a single incident. Of course any security tool, including IDS solutions, can be broken. After looking at various conditions that could cause a failure of the platform, we will discuss how to adjust to and where possible, prevent those conditions from occurring. With the power of Bro-IDS detection scripting, we will provide an illustration of how a simple script can detect multiple attacks common to enterprise networks. Patrick Kelley is an experienced security researcher with a demonstrated history of working in the computer and network security industry. With his knowledge of information security and how it applies to a wide array of industry verticals, he works as the chief technology officer for Critical Path Security. Recent APT Campaign targeting Energy Sector Assets. Over the past year, a concentrated effort has been focused on specific energy sector critical assets, leveraging trusted relationships within supply chains and other partnerships in an attempt to gain access to corporate and control system networks. This technical discussion will review the threat actor’s tactics and techniques observed during multiple on-site incident response engagements conducted by the DHS NCCIC Hunt and Incident Response Team related to this campaign. Seven strategies that can be implemented today to counter common exploitable weaknesses in “as-built” control systems..
Cyber intrusions into US Critical Infrastructure systems are happening with increased frequency. For many industrial control systems (ICSs), it’s not a matter of if an intrusion will take place, but when. The capabilities of our adversaries have been demonstrated and cyber incidents are increasing in frequency and complexity. Simply building a network with a hardened perimeter is no longer adequate. Securing ICSs against the modern threat requires well-planned and well-implemented strategies that will provide network defense teams a chance to quickly and effectively detect, counter, and expel an adversary. This presentation presents seven strategies that can be implemented today to counter common exploitable weaknesses in “as-built” control systems. This session will examine an organization’s journey to create, deploy and enhance a security awareness program designed to change workforce behavior and reduce the risk of susceptibility to security-related incidents; specifically social engineering & phishing. Omar Santos is an active member of the cyber security community, where he leads several industry-wide initiatives and standards bodies. His active role helps businesses, academic institutions, state and local law enforcement agencies, and other participants dedicated to increasing the security of their critical infrastructures. Omar is the author of more than twenty (20) books and video courses, as well as numerous white papers, articles, and security configuration guidelines and best practices. 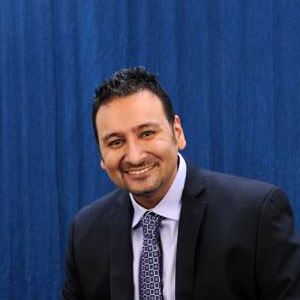 Omar is a principal engineer of the Cisco Product Security Incident Response Team (PSIRT), where he mentors and leads engineers and incident managers during the investigation and resolution of cyber security vulnerabilities. Wiper malware has been leveraged by attackers for years to facilitate the destruction of data and systems. In many cases, this malware has caused widespread operational issues for organizations and critical infrastructure all over the globe. Attackers have increasingly been leveraging and improving upon their wiper malware over the past several years. This talk will cover several notable examples of wiper malware, how they were distributed and the impacts that resulted from these attacks. It will also provide analysis of the technical capabilities present within wiper malware as well as the emergence of self-propagating wiper worms as a means for attackers to cause significant impact to target organizations very quickly. Social Engineering, dont fall for it. Discussion will focus on the challenges faced in segmenting an enterprise environment, deciding on a strategy, selecting and designing a best solution, and what successful implementation requires. Mr. Mario Balakgie INational Security Practice, World Wide Technology, Inc.
Mario Balakgie joined World Wide Technology in 2013 after 28 years of professional experience in security in both the government and private sectors. During his tenure with the government Mario served as the Chief Information Security Officer for the Defense Intelligence Agency where he was responsible for information technology, data integrity and security, and global network communications. In this executive role Mario was instrumental in the establishment of key global information security capabilities for the Intelligence Community involving mitigation of advanced threats and implementation of security readiness and monitoring practices. He has served on special assignments to include the largest ever technology exploitation and forensic mission searching for evidence of weapons of mass destruction. Mario’s information security expertise has been called upon for Congressional testimony that ultimately established today’s federal standards for cyber protection. As a Director in the Security Practice Mario delivers consulting services to clients by working with executives and addressing the demands of security on a global and enterprise scale. He leads a team of professionals with expertise to assist clients in defining comprehensive security and privacy programs mapped to business imperatives. This includes advanced technology solutions to support a range of clients and working with them to meet organizational requirements for establishing, implementing, monitoring, and maintaining a highly capable security program. Mario has received special recognition to include Executive Performance of the Year, Civilian Accommodation Award(s), Distinguished Performance, and Special Achievement from the Director of FBI and Director of National Intelligence Community. He holds a B.S. in Computer Science/Information Systems and is a Certified Information Security Manager (CISM). 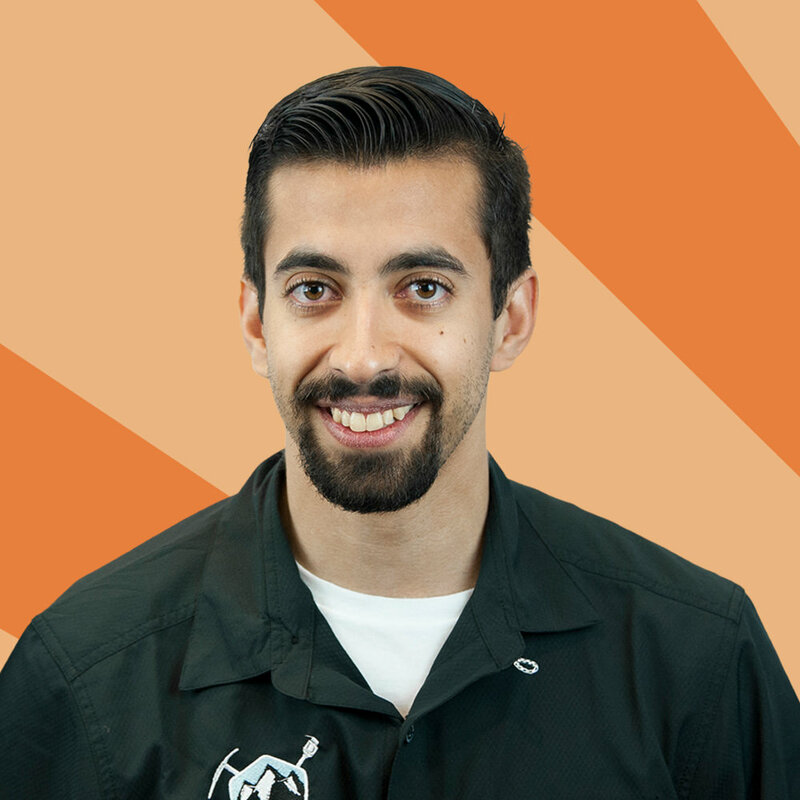 Aaron Soto, is at Rapid7, focusing on Metasploit core improvements, helping first-time contributors submit pull requests to the metasploit-framework repo, and training newcomers to the InfoSec community. In his spare time, he wrecks cars at Lemons, carries around a ham radio, and volunteers at Austin Pets Alive! 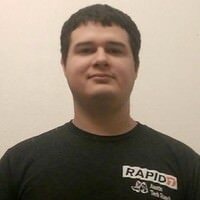 Jacob Robles, is on the Metasploit team at Rapid7 and works on porting proof-of-concept exploits to Metasploit modules and reviewing pull requests from community contributors. 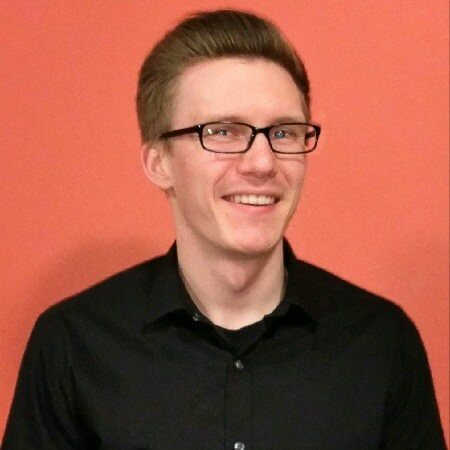 Previously, Jacob was a security consultant at Rapid7 and performed penetration testing for both internal and external clients. If you are responsible for an organization’s security, it is very likely you are running some form of a security operation center (SOC). The maturity of your practice can range from one person responsible for everything to a team of people using various tools and process. Every network is different however the goal is typically the same … protect people and data from cyber threats. This talk will look at industry best practices for running a successful SOC. Topics will include tools, practices and even touch on popular certifications for those looking to get into this type of work. The goal is to walk away with an understand of what security technology is available and how it can improve your capabilities. I will also look when it could make sense to outsource part or all of your SOC capabilities as well as cover a broad understanding of meeting compliance requirements. The speaker is the author of a handful of hacking and security titles including Cisco Press titles on developing security operation centers as well as security operations certifications like the CSA+ and Cisco CCNA Cyber ops. Mr. Joseph Muniz Architect/ Security Researcher, Cisco Systems. Joseph Muniz is an architect at Cisco Systems and security researcher. He has extensive experience in designing security solutions and architectures for the top Fortune 500 corporations and US Government. 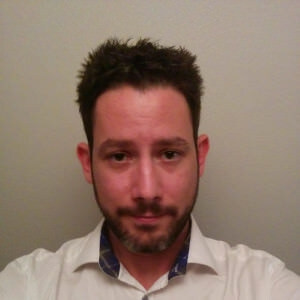 Examples of Joseph’s research is his RSA talk titled Social Media Deception quoted by many sources found by searching “Emily Williams Social Engineering” as well as articles in PenTest Magazine regarding various security topics. 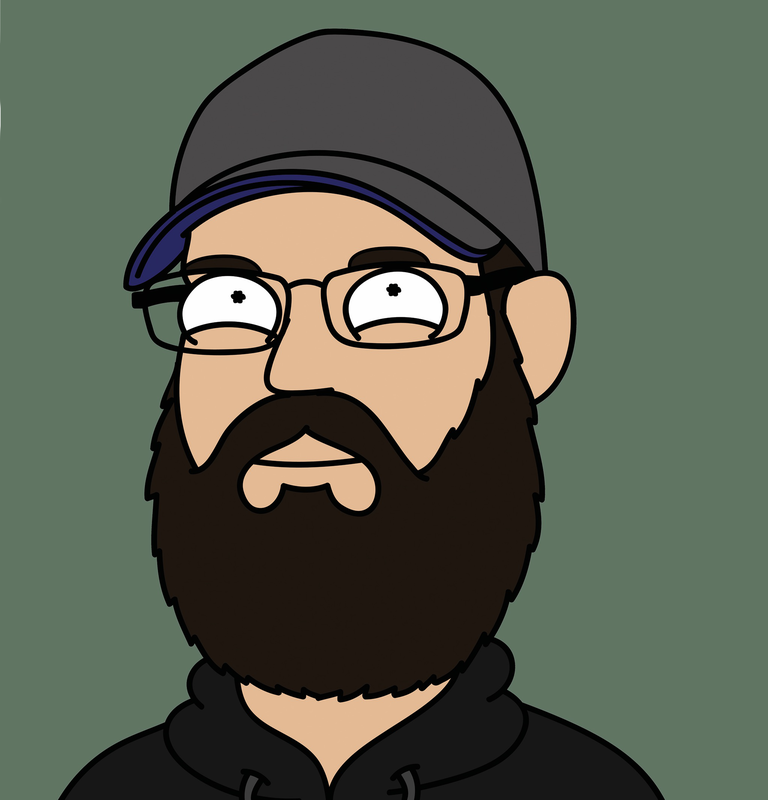 Joseph runs thesecurityblogger website, a popular resource for security and product implementation. 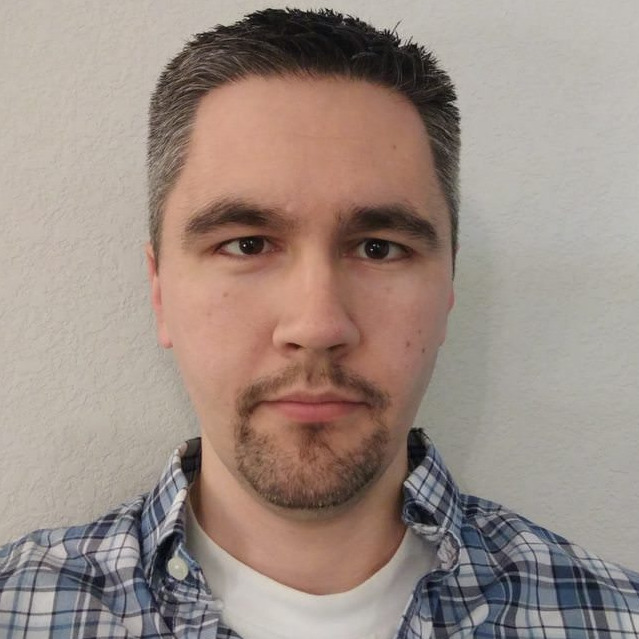 He is the author and contributor of several publications including titles on building security operations centers (SOC)s, CCNA cyber ops certification, web penetration testing and hacking with raspberry pi. Joseph’s next title, Digital Forensics for Network Engineers released on Cisco Press was released late February 2018. Follow Joseph at www.thesecurityblogger.com and @SecureBlogger. If you have been on the internet the last 10 years, then you likely are using some form of social media. You probably have heard of phishing however, could social media be used for phishing and what potential danger could occur from social media sources? Find the answer to those and other phishing related questions based on a real penetration test that leveraged phishing as a means to deliver advanced exploitation. The speaker is the author of various penetration testing, forensics and SOC best practices titles giving his real world experience with social media exploitation. Founding developer of the Penetration Testing Execution Standard (PTES), the industry leading standard on how penetration assessments are to be executed. The Payment Card Industry (PCI) Data Security Standard (DSS) adopted the PTES as their standard. David has had numerous guest appearances on Fox News, CNN, CNBC, MSNBC, the Huffington Post, Bloomberg, BBC, The Katie Couric Show, and other high-profile media outlets. 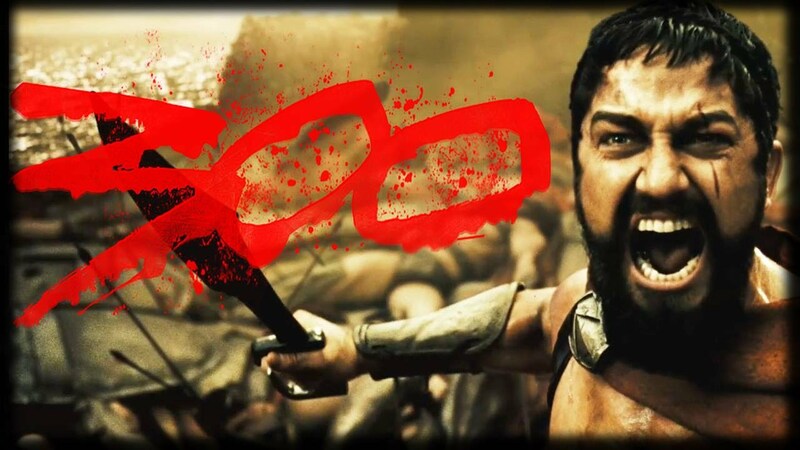 In addition, his tools have been featured on a number of TV shows and movies. David has assisted in some of the content for the widely popular Mr. Robot TV show, and advises on other news organizations and TV shows, including the History Channel. Co-Host of the TrustedSec Podcast and the Social Engineer Podcast. Presenting legal and compliance topics relevant for today’s cybersecurity professionals. This presentation will include discussions of current laws including NYDFS 500, NAIC Model Laws, GLBA and various topics from the FFIEC among others. Additional topics will include meeting regulatory requirements for risk assessments and a presentation of the various cybersecurity testing models for financial institutions such as the FFIEC CAT. Recent successful cyber-attacks have led the various federal and state legislative bodies to start increasing their regulation over the cybersecurity industry by including new requirements in new laws and regulations that cyber professionals should be aware of. The presenters will also discuss the best use of cyber security legal compliance in raising cyber awareness of executives who may not normally face heightened cyber compliance requirements. Finally, the presentation will be followed by a Q&A Session with the speakers who are experienced in regulatory cyber law and compliance. 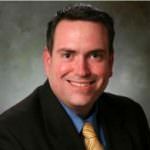 Jason Edwards, has over 20 years of IT/Cybersecurity experience in various sectors such as military/government, insurance, digital security, banking, and energy. Jason currently works for USAA as the Compliance Director for Cybersecurity. He serves as the primary compliance advisor for the CISO and Information Security teams at USAA on regulatory compliance matters. Jason has earned the CISSP as well as both a B.S. and M.S. in Information Technology/Security. Jason is currently in his final year of a doctoral program working to complete a dissertation on the 'Regulatory Cybersecurity Testing of Financial Institutions'. After earning his doctorate, Jason intends to pursue a second doctorate and possibly teach at the doctoral level. Griffin Weaver, is an attorney at the United Services Automobile Association (USAA), where is a member of the Enterprise Operations Counsel Group. Griffin serves as the primary legal counsel on issues related to cybersecurity, data security, insider threats, and financial cyber regulation. He also regularly advices business leaders on complex outsourcing transactions related to technology such as cloud computing arrangements, Software as a Service, Platform as a Service, Business Process Outsourcing, confidentiality, and data security. Griffin has worked extensively in matters involving US cybersecurity regulations such as NYDFS, NAIC model law, and the GLBA. 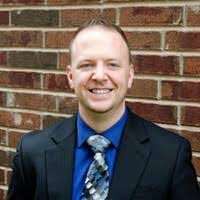 Prior to working as an attorney, Griffin spent over 6 years working in Information Technology as a project manager and backend developer. He earned his J.D. from the University of Utah and his B.A. in Middle Eastern Studies/Arabic from Brigham Young University. He is admitted to the bars of the State of Texas and the State of Utah. I'm Pwned. You're Pwned. We're All Pwned. Face it - it's going to happen. It's going to happen to you, it's going to happen to your company and it's definitely happened to me! Security incidents are now just a part of normal everyday online life and we need to adapt to the new reality. In this talk, we'll look at how security is changing and the things we can do to evolve our approaches in the era of the data breach. You'll see many of the common attacks organisations are falling victim to today, how our attitudes towards passwords are changing, how to get responsible disclosure right (both as an individual and an organisation) and get a look inside some of the more modern security defences out browsers offer us today. This talk is a mix of real world events, practical coding and face-palmingly painful security examples. Mr. 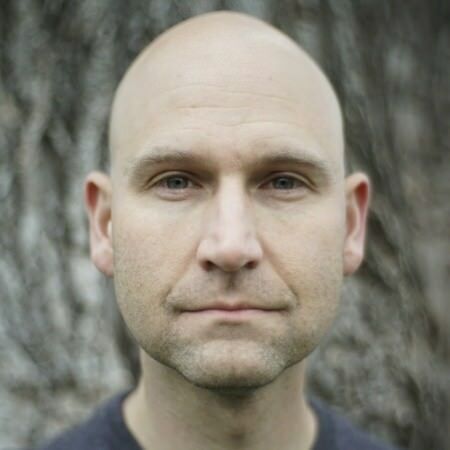 Troy is a Microsoft Regional Director and MVP, Pluralsight author and world-renowned internet security specialist. He spends his time teaching developers how to break into their own systems before helping to piece them back together to be secure against today’s online threats. He’s also the creator of Have I Been Pwned, the free online service for breach monitoring and notifications. 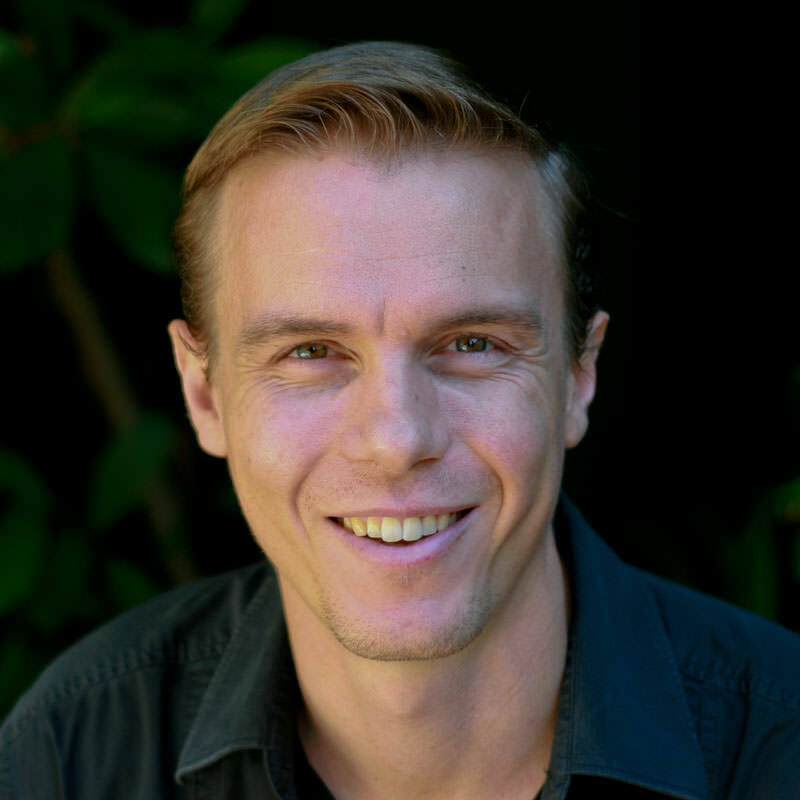 Troy regularly blogs at troyhunt.com from his home in Australia. Cyber Threat Response (CTR) Clinic to perform attack and defend scenarios - Choose your adventure. CTR was created to teach you WHY certain defense capabilities are critical for preventing a future compromise of your network. Help Mr. Black be attacker using Kali Linux and other tools to exploit systems, infect endpoints with Ransomware and exfiltrate data to be sold on the Darknet. Defend the fictitious hospital using Firewall, IPS, Breach Detection, NetFlow Analytics, SIEM, Access Control and Vulnerability Management. Join the cyber cat and mouse game however, you must bring your own laptop to play! Note: No harm will be done to your system as the entire environment is in an isolated container. Someone or another has employed Moses Frost for the last 19 years. He started with BBS’s and ran a few, in the early 90’s, and his first non-Microsoft Operating System was Slackware and Linux 1.2 He is now employed Cisco Security Architect and is an Instructor and Author for the SANS Institute. You can catch him teaching Network or Web Penetration Testing at SANS, or catch him at a conference. He is prolifically twittering so find him on twitter @mosesrenegade. He is a seldom blogger at www.renegade.blog. 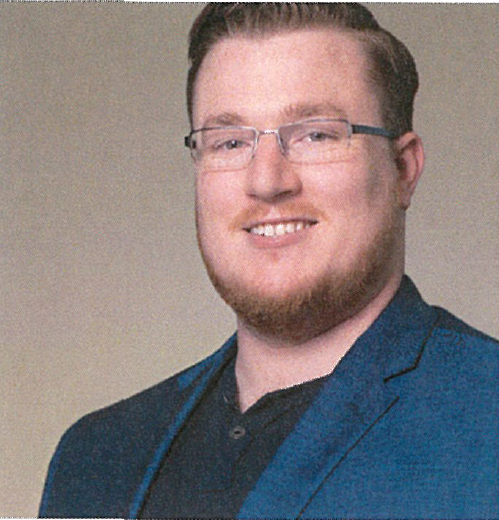 A National Cybersecurity Fellow at DC-based think tank New America, Rob was named one of Passcode's Influencers, awarded EnergySec's Cyber Security Professional of the Year 2015, and was inducted into Forbes' 30 under 30 for Enterprise Technology 2016 as one of "the brightest entrepreneurs, breakout talents, and change agents" in the sector. A passionate educator, Rob is the course author of SANS 1CS515 "ICS/SCADA Active Defense and Incident Response," the only ICS-specific incident response course in the world, and the lead author of SANS F0R578 "Cyber Threat Intelligence." Rob pursued cybersecurity in the U.S. Air Force, where he served as a Cyber Warfare Operations Officer in the U.S. Intelligence Community. He has performed defense, intelligence, and attack missions focused on identifying and remediating hostile nation-state adversary operations. Protecting the power grid in Ontario, Canada. The idea here is to share my experiences that others my learn from those stories and see a way forward to an incrementally better security posture. There is a clear need to do a better job at locking down access to systems. Why do we spend an inordinate amount of time locking down Internet facing system but then load Microsoft Office on internal servers (yes, this happened). The push to return to the fundamentals is necessary so that we can address things such as asset inventories, network zone segmentation and vulnerability mitigation as examples. Dave Lewis has over two decades of industry experience. He has extensive experience in IT security operations and management including a decade dealing with critical infrastructure. Lewis is an Advisory CISO - Global for Duo Security. He is the founder of the security site Liquidmatrix Security Digest and cohost of the Liquidmatrix podcast. Lewis serves on the advisory boards for Cortex Insight and Dateva Inc. Lewis writes columns for Forbes, Daily Swig, CSO Online & Dark Reading. Gaining visibility and insight into what's actually happening on your network is becoming more and more critical. I'm here to tell you this is all possible using a free and open source Network Security Monitoring platform that is secure, RockNSM. Live traffic analysis is a resource intensive operation and that's why ROCK contains only the tools you need, giving the ability to scale. The second half will be a locally hosted live demonstration of a guided hunt exercise using replayed PCAP. 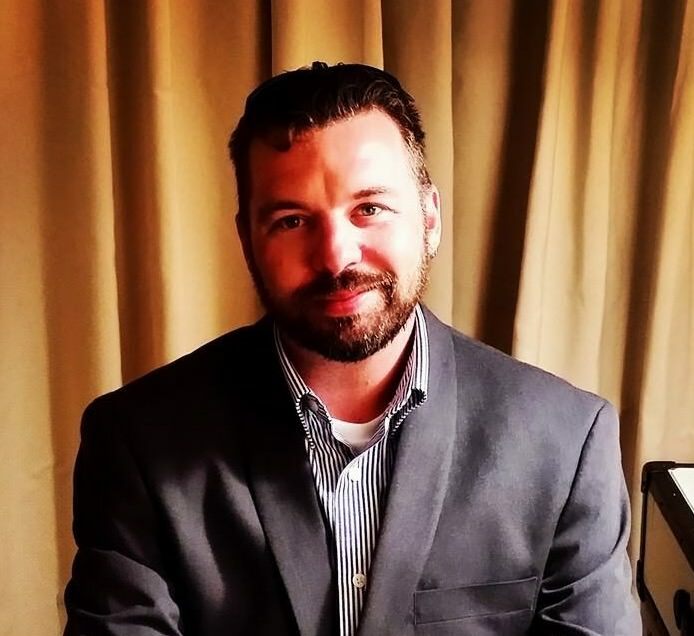 Sean Cochran is an incident responder / administrator / builder / automator with real world experience and a passion to defend the nation and it's citizens in the realm of cyber. He is the Lead Instructor with Perched with a focus on delivering relevant and hands-on training with all things NSM. He love tearing things apart to see how they work, so why not network traffic?! SIEMs are instrumental in most large organizations. Most cyber defenders are at the mercy of the vendor to create parsers or connectors to work with their centralized cyber management tools (SIEMs or other solutions). What if there was another way and you had the knowledge to at least try? This will cover creating your own solutions to get data needed. Traditional and non-traditional datasources will be explored. Since the age of 13, James Boyd has been hacking. He started with making his C-64 do things it wasn't supposed to do, replace little flipping guys with Mario in the game Kung-Fu Master using a hex editor. He is a retired USAF MSgt. Currently he works for Pinnacle Technology Partners as the Principal Cyber Security Architect, Managed Services, assisting customers with their daily security issues. As more companies and government agencies are becoming cyber dependent, the outbreak of malware attacks and their sophistication are growing exponentially. This presentation will showcase live demonstrations of multiple malware threat vectors and provide sobering examples of the ease at which attackers can compromise your data. 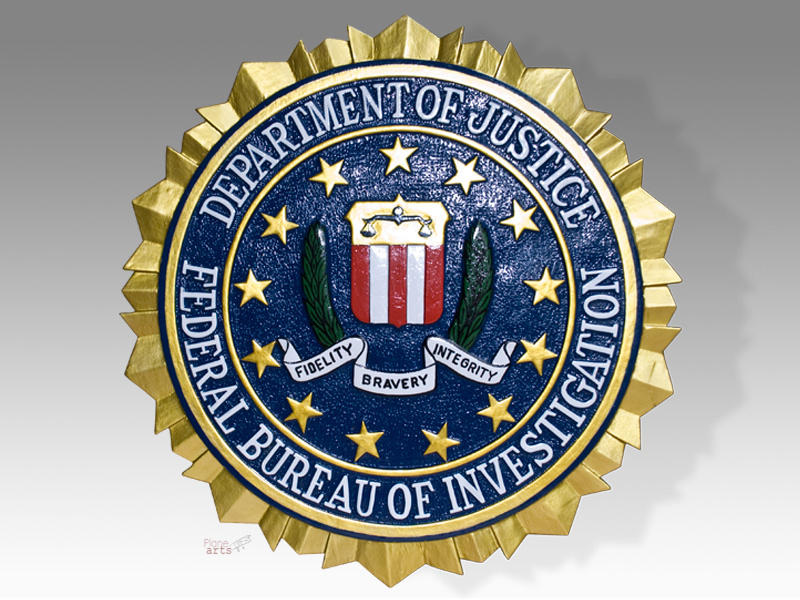 Tom Ervin has been supporting the FBI with cyber forensics analysis for the past eighteen years. He specializes in computer intrusions and the dissection of computer viruses and worms. In 2000, Tom helped establish the FBI's first malicious code laboratory at FBI Headquarters in Washington, D.C. He has been working at the San Antonio Division since 2010, supporting the Cyber Squad on criminal and national security investigations. Tom holds BS and MS degrees in Electrical Engineering. Learn how a digital forensics investigation turned into a race to uncover a cybercriminal organization that spanned across three continents responsible for the theft of over USD 150 million. We will examine in detail how digital forensics was used to piece together email evidence, Darknet marketplace identities, Bitcoin wallet addresses, and a crime racketeering plot that took advantage of innocent individuals, stealing from their money and dignitity. Lastly, the talk will explore offensive "hack back" techniques that were used to the track the indviduals by bypassing traditional security defenses and using social engineering skills to gain their trust and uncover their true identities. Aamir "Dr. Chaos" Lakhani is a leading senior security strategist. Aamir has designed offensive counter-defense measures for the Department of Defense and national intelligence agencies. He has also assisted organizations with safeguarding IT and physical environments from attacks perpetrated by underground cybercriminal groups. Mr. Lakhani is considered an industry leader for creating detailed security architectures within complex computing environments. His areas of expertise include cyber defense, mobile application threats, malware management, Advanced Persistent Threat (APT) research, and investigations relating to the Internet’s dark security movement. This session is a team-based, hands-on challenge where attendees race against the clock to sabotage other teams’ networks while defending their own network. Attendees will be divided into teams and will spend a short amount of time learning about their assigned network which consists of routers, switches, firewalls, and other network-related functions. When the game begins, an application will send heartbeats through each network and credentials to a random network node will be presented to each team. Teams must discover which node they can access in any one other of the teams’ network and change the configuration to cause the application’s heartbeat to fail. When a team’s heartbeat fails, they stop accumulating points and must repair the application’s data path by reversing the sabotage caused by an opposing team. For the past 13 years, Michael Kowal has been involved with complex routing and switching designs and architectures at Cisco. He currently works with Universities, research institutions, and regional service providers to design carrier-class next-generation networks. Michael's technology focus within the Public Sector includes: BGP, IGP (OSPF/IS-IS), MPLS (L2/L3 VPNs), LISP, IPv6, DWDM, and ICN. Michael currently holds a CCDE & CCIEs in Routing & Switching, Service Provider, and Voice tracks. Michael also holds a Masters in Electrical Engineering from Stevens Institute of Technology. Chris Nickerson, CEO of Lares, has spent the last 20 years of his career leading, inspiring, and sometimes irritating, the security industry. With Lares co-Founder Eric M. Smith, he created the unique methodology used at Lares to assess, implement, and manage information security realistically and effectively. Collaborating with a group of other InfoSec researchers, he founded the Penetration Testing Execution Standard (PTES), and is working with the Red Team Alliance Training Collective to create a certification for Red Team Testing. He is one of the founders of the Security BSides conferences, he’s been a keynote, speaker, and/or trainer at more than fifty InfoSec conferences worldwide, including DEFCON, CyberWeek, and BlackHat. He’s a member and certification holder with ISACA, on the board of CREST, and holds CISSP, CISA, BS7799, and NSA IAM certifications. His book, Red Team Testing, is upcoming from Elsevier/Syngress. And despite all that, he is perhaps best known for his appearance on the TV show Tiger Team on TruTV, and his TED Talk, Hackers are all about curiosity, and security is just a feeling. Cuckoo Sandbox is used for malware identification. By implementing easy changes to the Cuckoo software. Static file analysis can be accomplished in under 6 seconds. Wm. Arthur Conklin, PhD is an Associate Professor and Director of the Center for Information Security Research and Education in the College of Technology at the University of Houston. He holds numerous security certifications, including Security+, CISSP, CSSLP, CRISC, DFCP, GICSP, GRID, GCIP, GCIA, GCFA, CASP, and CSDP certifications. An ISSA Fellow, he is also a senior member of ASQ, IEEE and ACM. His research interests include the use of systems theory to explore information security, specifically in Cyber Physical Systems and critical infrastructures. He has co-authored six security books and numerous academic articles associated with information security. He is active in the NSA/DHS Centers of Academic Excellence in Cyber Defense Education program, creating the Center at UH. He is chair of the Steering Committee for the DHS sponsored Industrial Control Systems Joint Working Group (ICSJWG) , a group associated with cybersecurity aspects of industrial control systems. He has an extensive background in secure coding and is a former co-chair of the DHS/DoD Software Assurance Forum working group for workforce education, training and development. It is important to identify vulnerabilities to cybersecurity attacks, especially with the rise of machine learning — a vicious form of automated hacking that can prove catastrophic. Red Teaming imitates hacking & tests defenses to identify vulnerabilities. You must use machine learning to keep up! This presentation will help attendees understand how artificial intelligence (AI) and machine learning are being used maliciously. It will emphasize the increasing need for AI and machine learning to be used in defensive cybersecurity activities in order to counter the growing threats to businesses and individuals. Specifically, Red Teaming is a new form of defense that puts safety mechanisms to the test by simulating real hackers and other threats. By using AI and machine learning in Red Teaming, defensive AI will be able to more quickly learn the best responses to malicious AI and keep up with its ever-evolving evil tactics. Bret Piatt leads Jungle Disk as the President, Chief Executive Officer, and Chairman of the Board. Prior to Jungle Disk, he led a SaaS business unit for Rackspace serving over 75,000 small businesses. Before that, he had the opportunity to lead the AT&T Managed Premises Firewall business, help create OpenStack, and lead several successful acquisitions on the Corporate Development team at Rackspace. Outside of the office, Bret enjoys a good meal, live music, and spending time with his large family. 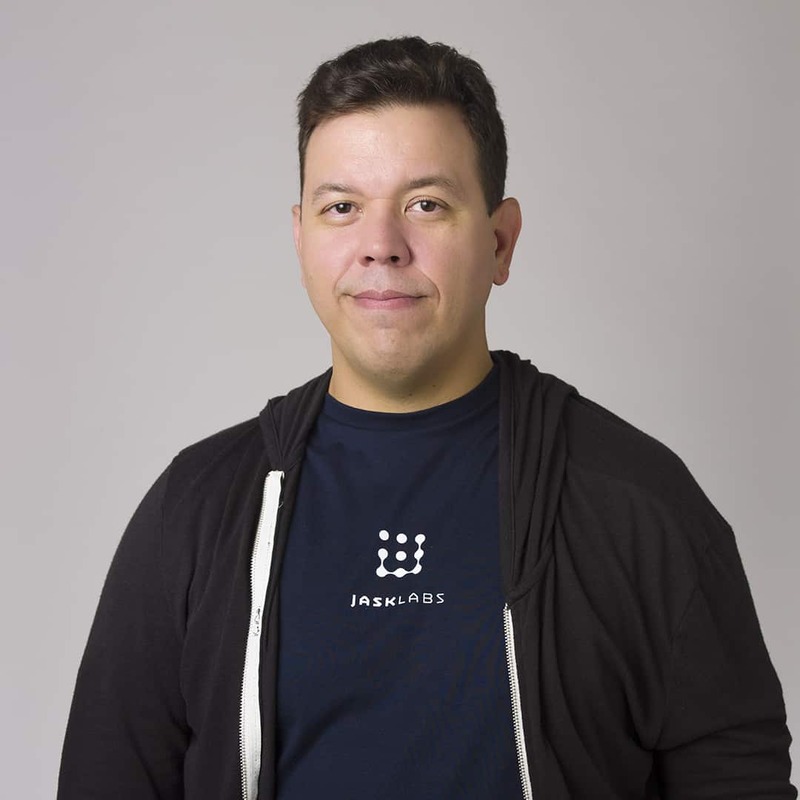 He is also active in helping transform San Antonio into a technology leader through community involvement with TechBloc, the San Antonio Chamber of Commerce, and other outreach activities. Memory-resident & file-less malware has been involved in a majority of hacks for years now. It is the number one technique used by penetration testers and hackers to evade detection by antivirus, bypass whitelisting, and limit evidence available for investigators. While many endpoint protection tools have advanced their ability to detect the act of memory injection or execution of a file-less attack in real time, the post-compromise discovery and follow on analysis of memory injected malware continues to rely on one-host-at-a-time offline analysis of a physical memory dump. In this talk, Chris Gerritz and Russ Morris will go over the various techniques malware uses to hide within memory as well as the latest advances in live, scalable volatile memory analysis which can be used to find and analyze these threats. We will use some open source tools and scripts to demonstrate some of the technical content. Ultimately, we are seeking to arm threat hunters with the knowledge to hunt effectively and efficiently within memory: live and at scale. Chris Gerritz co-founder and CPO of Infocyte, is a pioneer in defensive cyberspace operations having established and led the U.S. Air Force’s first Enterprise-scoped Hunt Team. In this roll, he led a team of 28 operators and analysts tasked with finding, tracking, and neutralizing state-sponsored threats on the Air Force’s $2B, 800k node enterprise network. He personally conducted and/or oversaw 350+ adversarial hunt and rapid response missions on networks throughout the world. Chris holds a B.S. in Electrical & Computer Engineering from Oregon State University. Russ co-founder and CTO of Infocyte, is an alum of the Air Force's 57th Information Aggressor Squadron (Air Force Red Team). He brings a unique offensive mindset to the world of defense having served as a military strategist, planning two of the largest defensive cyber operations in Air Force history. Following his switch to the Air Force Reserves, he created the Defensive Counter Cyber (DCC) Operator Training Course as lead hunt trainer of the U.S. Air Force CERT (AFCERT). Ryan holds a B.S. in Computer Science from San Jose State University. Medical devices are high-risk, high-value targets as they are increasingly connected to hospital networks, the Internet and other healthcare technology components. These devices serve as entry points for threat actors to compromise protected health information (PHI) and can be leveraged to cause direct patient harm. As a result of performing vulnerability assessments, Mayo Clinic has identified common weakness patterns and attack scenarios on medical devices. This presentation will provide an overview of the weakness patterns and attack scenarios, the ease of exploitation, and prevention tactics. In addition, we will be discussing some of the problems encountered when applying good security practices to a complex healthcare network environment while not impacting patient care and workflow and how some mitigating or compensating controls can work better than others. Fotios Chantzis is a principal information security engineer at Mayo Clinic, where he manages and conducts technical vulnerability assessments on medical devices and clinical support systems as well as penetretation tests and red team engagements on the network. 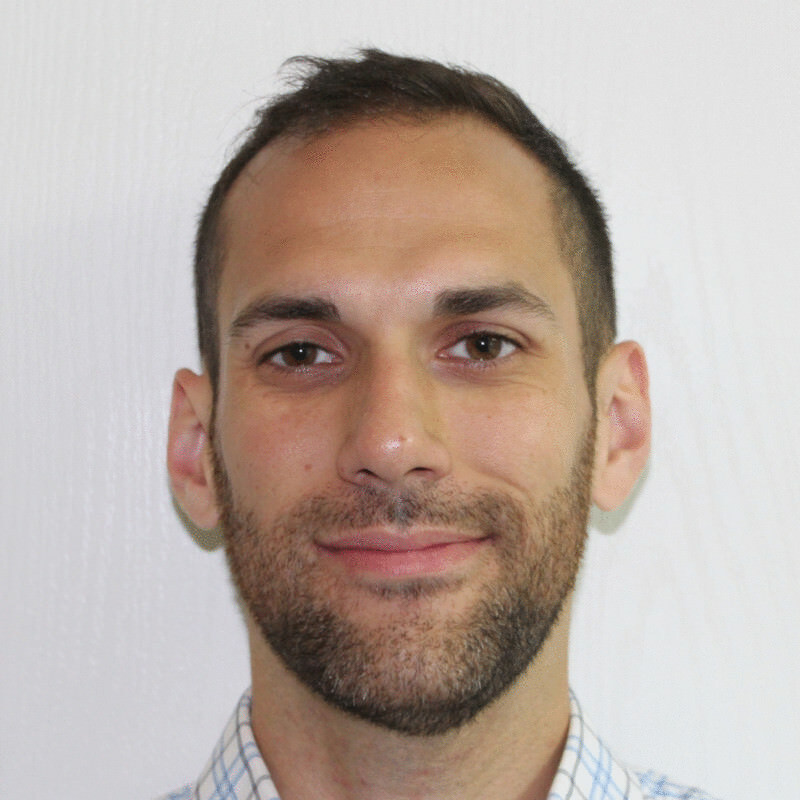 Fotis has over 10 years of experience in the information security industry, which includes time spent researching network protocol vulnerabilities and developing security tools. He has been a contributor to the Nmap project since 2009, when he wrote the Ncrack network authentication cracking tool, which he still maintains, and has published a video course on "Mastering Nmap". 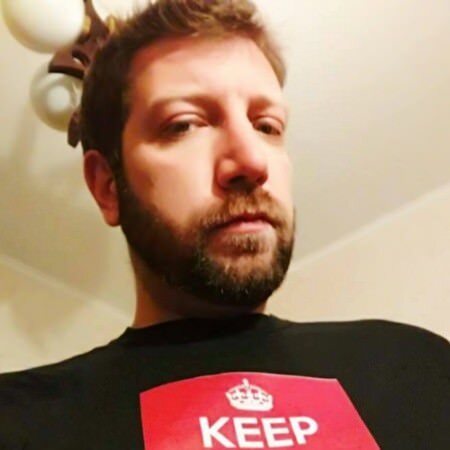 His research on network security includes exploiting the TCP Persist Timer (published on Phrack #66) and inventing a new stealthy port scanning technique by abusing the popular XMPP. His most recent research focus has been on medical device & IoT security. The attacker always wins because they have the advantage. Wrong. Any seasoned red teamer knows that they need to succeed at each stage of their compromise to achieve the objective. As defenders, we only need to stop them along one point in the intrusion. By leveraging our Home Field Advantage and weaponizing our networks with traps and snares, we have the opportunity to take the initiative and bring the fight to the intrusion set. Attackers may have an untold and ever-growing number of tools and techniques to use during the attack, but they have a limited set of tried and true tactics. Targeting the adversary and poisoning their tried and true tactics lets us weaponize our environments where the Threat's own decision making is their undoing. When an attacker can never be certain if their own, unique tools are safe for them to use, their decision making is disrupted and the fight is already won. This talk is about the strategy of cyberspace trapping and includes a library of scripts and demonstrations for attendees to take with them and apply on day 0. 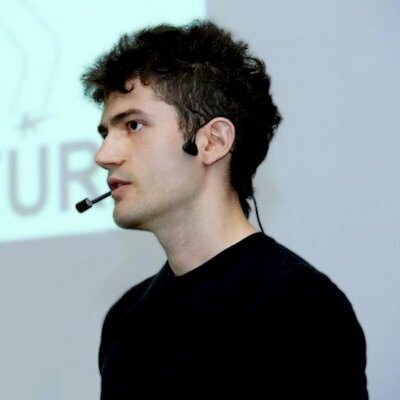 Matthew Toussain is a penetration tester with Black Hills Information Security, an instructor for the SANS Institute, and founder of Open Security. Matthew regularly hunts for vulnerabilities in computer systems and releases tools to demonstrate the effectiveness of attacks and countermeasures. He has been a guest speaker at many conference venues, including DEFCON. Matthew is an author of SEC460: Enterprise Threat and Vulnerability Assessment. Icebergs are deceiving. What you see is just a fraction of the whole picture. Same goes for software, what is being innovated and iterated on is only a small portion of the whole, while the majority of the code is based on open source packages downloaded from various places on the internet. Sounds great, right? Get free, open source code to help you develop your next product faster? Yes, and no. Today, many open source packages have known and unknown vulnerabilities. This is why knowing what’s in your open source code is crucial to preventing security gaps in your code. It’s obvious that people DON’T know what’s on that free code as Security breaches are at an all time high. How, in an Enterprise security market worth hundreds of billions of dollars, can these kinds of hacks be so commonplace? The reality is CISO’s, Risk Officers and even CEO’s are looking to protect against these breaches far too late in the process. While they focus on protecting their networks, appliances and applications they fail to understand in these instances that they’ve already been breached. Mr. Jacek Materna CTO, Assembla, Inc.
Jacek Materna has been and is currently involved in the security and cyber security space for 15 years. He helped run multiple businesses in network security on both defensive and offensive capability sides. He regularly advises a local cyber security incubator in San Antonio and has been mentoring CyberPatriot kids on defending against hackers for years. At Scaleworks and Assembla, Jacek drove the org's pivot to secure source code management in the cloud (www.assembla.com) including our certifications and security compliance programs to achieve PCI DSS, SOC II and CSA. He regularly blogs on CSOonline.com on security and have been published on TechCrunch and TheNextWeb. Building security software is hard. Making it easy to understand and designing security software with trust and privacy in mind is even harder. At the end of this talk you'll have some practical advice from Duo Security's Mobile Product Manager, Taylor McCaslin, on building trust and designing empathy and into your security software. When security software is easy to use and trust, it is more effective. 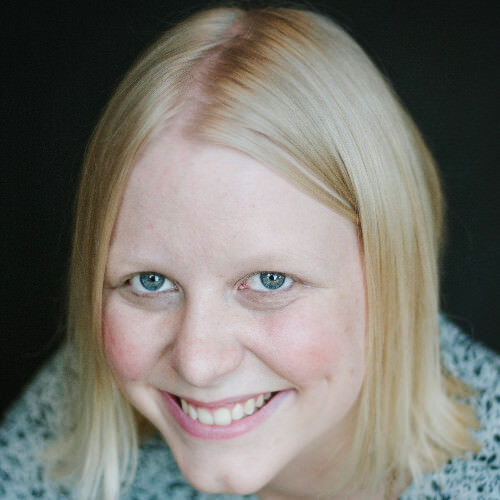 Taylor McCaslin (is a multi-disciplinary technologist and Product Manager living in Austin, Texas. He currently works as a Mobile Product Manager at Duo Security. Taylor is an advocate and defender of privacy, consent, and inclusion. Mr. Taylor graduated from The University of Texas at Austin, where he studied business, theatre, computer science, and digital art & media. For the past 6 years, he’s worked at enterprise-scale, hyper-growth technology companies including WP Engine, Indeed.com, and Bazaarvoice. Taylor also enjoys volunteering with local human rights and LGBTQ organizations around central Texas. These names are normal. They come to work on-time every day. They are your top performers. They have names similar to Edward. Edward comes to the office, does a great job, and seems like an average analyst. He is also the most famous Insider Threat. Joe, Mary, John and Valarie are too. Mary is a great contributor to the team. She brings breakfast tacos to the whole office. She seems nice, someone you would like to work with. Underneath the surface, she feels that the organization she is working for is doing something inherently, or ethically wrong. What you didn’t know when you hired Mary is that she would be a threat. You didn’t know that her independence and drive would also lead to her inability to be loyal to anyone’s interests except her own. She began working for the company feeling as if she had a sense of belonging, until the day she realized that her interests were diverging from the company’s. It was at this moment, she became frustrated. She felt betrayed. Ultimately, she felt a sense of duty to correct these actions, and so she did. Mary was an analyst who had access to all kinds of critical information. She was cleared at your highest classification level. She became an insider threat. Could you have known this before you hired her? We believe you can. Creating an Insider Threat Program based on human data analytics coupled with traditional tactics and preventive measures allows us to identify these potential threats to our organization and our customers. 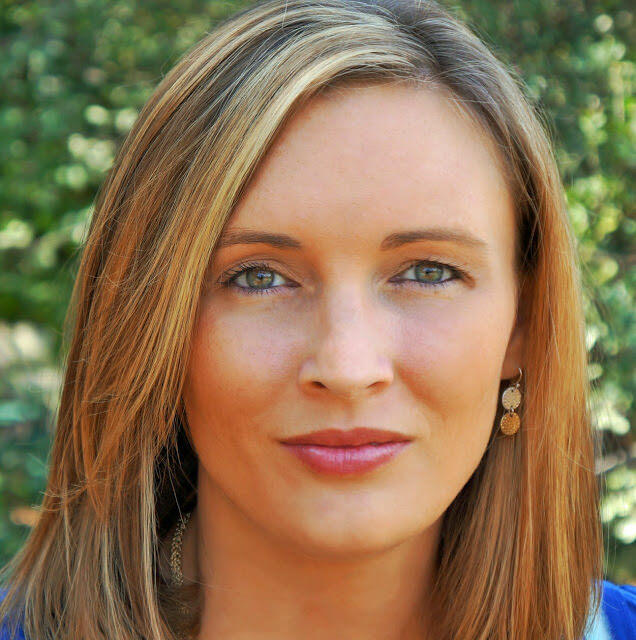 Angel Crockett is the CEO and founder of Inflow, a National Security Company, headquartered in San Antonio, TX. Her mission is making it matter, contributing to all customers’ missions with a core focus in defending the cyber domain with offensive and defensive measures, creating actionable intelligence, providing strategy advisement, program management, and operational support for mission essential programs. Prior to launching Inflow, she sought out the latest in technical management knowledge by obtaining her MBA from MIT. Her management knowledge stems from her experience as Executive Vice President for Information Innovators Inc. (Triple-I). While at Triple-I, she grew their Defense Division to over 700 resources nationwide within three years. Prior to becoming an executive at Triple-I, she worked for IBM BCS, PwC and Ryder Integrated Logistics. Her recent focus is to protect our homeland by creating quality solutions for the U.S. Government. She has gained extensive technical expertise in; large-scale cyber security programs, Reverse engineering of IEDs, Weapons analysis, Enterprise networks, IT consolidation projects, data center operations, data center relocations, network operations, IT security operations, enterprise service desk management, software development and integration of eGov initiatives. 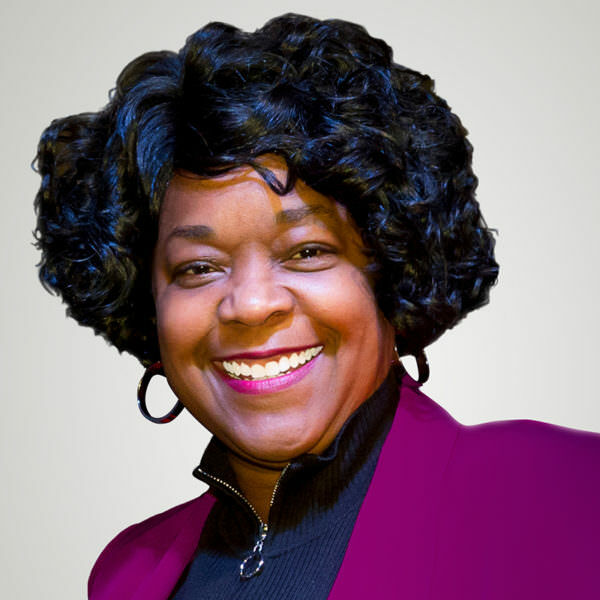 Mrs. Crockett is ITIL V3, HDI Director Level certified and holds a Top-Secret Clearance. She received her BBA in Logistics from the University of North Texas in Denton, Texas and obtained her MBA from MIT Sloan Management School in Boston, MA. Securing a digitally connected environment is tough enough onshore, but when you are offshore the impacts are higher. The lack of safety can result in loss of life, and billions of dollars in non-productive time lost, and vessels, rigs and mobile offshore units varied in function, size, depth, capacity, age, suppliers, OEMs and expertise. We will explore the technical differences of functions, processes, digitally connected environments, and framework methodology for identifying cyber risks and best practices to mitigate the most common ones. Cherise is Co-founder and is CTO of SecurityGateTM a SAAS platform that automates the risk assessment process at scale for vast eco-systems. In 2015 she led a comprehensive cyber security program that resulted in the world’s first offshore drilling rigs to achieve the Achilles Practice Certification owned by GE. In her almost 20 years in the cyber security realm, she has managed global security operations centers for some of world’s leading firms including Enbridge Inc., Noble Drilling, and Ernst & Young Advanced Security. Her demonstrated experience includes maritime, critical infrastructure, enterprise global management of SOC-as-a-service, vulnerability assessments, penetration testing, incident response, and SCADA/ICS/PCD design, security system integration, and cyber program development. Red Teaming against large enterprise environments requires a large amount of specific technical and operational knowledge. Any effective attacker must learn common configuration and visibility gaps that provide efficient ways of bypassing detection and response capabilities. This talk will discuss cutting-edge tools, tactics, and procedures (TTPs) used to compromise enterprise networks during covert red team operations. We will present case studies of real-world attacks against clients and the methodology we used to accomplish our objectives without detection. This talk will discuss trends in payload execution such as weaponizing native Windows binaries to execute arbitrary payloads. We will additionally demonstrate how Mandiant uses these execution methods for common tasks during active engagements. This will include DO's and DONT's for lateral movement in enterprise networks, as well examples of our favorite persistence techniques and how they can be used in conjunction with the latest payload trends in targeted, stealthy attacks. 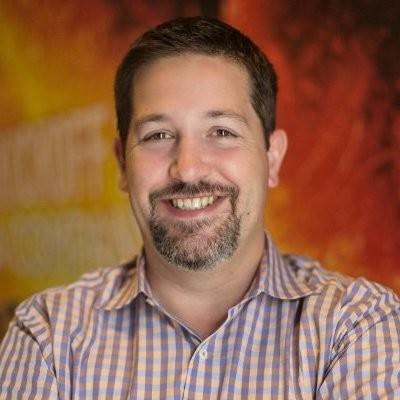 Evan Peña is the Global Red Team lead for Mandiant, a FireEye Company. 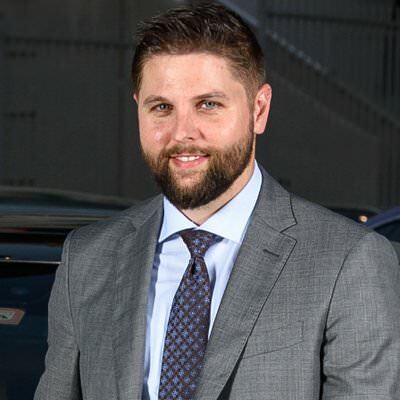 Evan has years of experience in enterprise information technology administration, leading covert red team operations to evaluate incident response procedures, and assessing enterprise network defense capabilities from the perspective of an attacker. In addition, Evan participates in security diverse assessments of large government agencies and Fortune 500 companies. These networks consist of an online presence of hundreds of thousands of address space around the world. Evan developed and is the lead instructor for the “Creative Red Teaming” training course at BlackHat USA in 2017. Evan has also developed several open source tools that have been released to the security community to enhance awareness in the community. Crestron devices are everywhere. This talk is what I found when I audited their products. I found various hidden commands, secret vendor backdoor accounts, and nearly 2 dozen RCE vulns that lead to full root control on their Linux-based platforms. There are 3 live demos to show my various exploits. While you may not always be aware of them or even have heard of them, Crestron devices are everywhere. They can be found in universities, modern office buildings, sports arenas, and even high-end hotel rooms. If an environment has a lot of audio/video infrastructure, needs to interconnect or automate different IoT and building systems, or just wants the shades to close when the TV is turned on, chances are high that a Crestron device is controlling things from behind the scenes. And as these types of environments become the norm and grow ever more complex, the number of systems that Crestron devices are connected to grows as well. But it is in large part because of this complexity that installing and programming these devices is difficult enough without considering adding security. Instead of being a necessity, it's an extra headache that almost always gets entirely passed over. In this talk, we will take a look at different Crestron devices from a security perspective and discuss the many vulnerabilities and opportunities for fun to be found within. I will demonstrate both documented and undocumented features that can be used to achieve full system compromise and show the need to make securing these systems a priority, instead of an afterthought, in every deployment. Ricky "HeadlessZeke" Lawshae is an offensive security researcher for the Advanced Security Research team at Trend Micro. He spends his days breaking interesting things in interesting ways with his focus mainly centered on IoT research. His work has been featured in Forbes, Wired, Ars Technica, Hackaday, and more. He tries his best to be responsible with the vulnerabilities he finds, but despite that his work has also been featured in the likes of Satori, BrickerBot, and JenX. He has spoken at several conferences around the world including Defcon, Recon, Insomnihack, IST Expo, and Ruxcon. At the heart of every solar and battery storage installation is an embedded computer and software responsible for controlling energy flows, detecting and clearing short circuits, and some can even provide voltage & frequency regulation. For both commercial and residential systems, these devices are now sold as consumer electronics and include little to no security while being managed via the cloud. If compromised, solar and battery storage systems can be maliciously used to adversely impact the connecting utility or can be used to cause local physical damage. This talk examines the security implications of solar and battery storage installations while analyzing the physics and impact to reliability of multiple power system applications. Nathan has a B.S. in electrical engineering, a B.S. in physics, an M.S. in engineering, and a Ph.D. in engineering cyberspace from Louisiana Tech University. He started his career with Entergy’s relay settings and configuration group. He then joined a small utility as an associate engineer, performing field maintenance of system protection and communication equipment. After seeing the grid’s growing reliance on cyber-based technologies, he pursued graduate degrees focusing on power system cybersecurity, where he also worked as a digital forensics examiner. 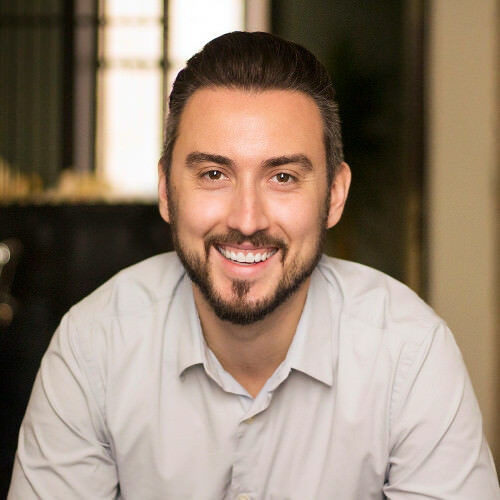 Nathan currently is a staff engineer at Ampirical and a cofounder of the cybersecurity engineering firm Cybirical, where he is the director of cyber operations. He is also the creator of VulnTracker, the first and only mobile app for tracking power system vulnerabilities and standards. He is a member of InfraGard, IEEE Power & Energy Society (IEEE PES), IEEE Computer Society, and has given countless presentations, webinars, and workshops on securing the grid at different hacking and industry conferences/events. The intent of the Nuclear Power Plant Cyber Security Plan is to protect the health and safety of the public from radiological sabotage as a result of a cyber-attack as described in 10 CFR 73.1. 10 CFR50.34(c), “Physical Security Plan,”. Nuclear Power plants have to be protected from a dual cyber threats, Radiological Sabotage and Ensuring the Electrical Grid is safe from terroristic attacks. This presentation will focus on the Regulatory Requirements that US Nuclear Power Plants have to meet and maintain to eliminate Radiological Sabotage at Nuclear Power Plants. From the initial start back in 2004 to today where all US Nuclear Power Plants are being inspected by the Nuclear Regulatory Commission. How the change from analog to digital systems for Nuclear Plants has changed the whole process for ensuring they are protected against cyber threats. Implementing Cyber Security controls on Safety, Security and Emergency Preparedness Systems. I am the Manager of Cyber Security and Information Security at the South Texas Nuclear Operating Company. I manage both Cyber Security (Plant side) and Information Security (Business side). I have been in cyber since 2004. I have had my CISSP since 2005. I was also the Manager for Cyber Security over the Network Department for HERTZ Rent A Car for 5 years worldwide managing all of their Firewalls, IDS/IPS, VPN LAN TO LAN and VPN users. STP was the first Nuclear plant in the US to be inspected under the new Cyber Security Rule. I have also been a member for two years of the Cyber Security Task Force that works with the Nuclear Energy Institute to interface with the Nuclear Regulatory Commission on rule making. The purpose of this session is to explore the issues with RCA quality, to better learn from security breaches. A model is presented to show how Environment, Person, Process lead to RCA quality. In each of these three areas, issues are presented that inhibit RCA quality, especially with security breaches. How management security levels are applied to these three areas will be discussed. Also, an indication of unreliable/incorrect RCA results will be explained. Garry White is an Associate Professor in the Computer Information Systems department at Texas State University in San Marcos, Texas. He holds a MS in Computer Sciences from Texas A & M University – Corpus Christi and a PhD in Information Systems Education, from The University of Texas at Austin. Professional Certifications from the Institute of Certified Computer Professionals (ICCP) include C.D.P, C.C.P., C.S.P. and Expert Certified in Security Systems. He also holds the Certified Information Systems Security Professional (CISSP). Research interests and work are in the areas of human factors with computer technology, infrastructure security, Internet security, privacy, and global assurance. He has published papers in journals such as the Journal of Computer Information Systems and Journal of Information Systems Education. He was a guest editor for a special issue of the Journal of Information Systems Education; Global Information Security and Assurance in IS Education. The audience will be engaged when we will focus on the psychological motivations, to identify the emotional precursors, which lead to CORPORATE ESPIONAGE and SPYING. Combining open-discussions, media, and PowerPoints, to illustrate, cultural adaptation, borderline personality disorder, psychological autopsy, precursors to ESPIONAGE, and SPYING. The presentation/workshop will give participants innovative insights to conduct psychological field profile/assessments and verify potential risk factors. The presentation/workshop will outline the psychological aspects regarding a Data Breaching and possible prevention Data Loss. Furthermore, this presentation/workshop will demonstrate that with the proper preparation, one can evaluate an individual whose psychological profile dictates that they retain the potential to perform CORPORATE ESPIONAGE. We talk about protecting data; we talk about outside forces seeking to obtain our data by unconventional means. My Presentation/Workshop will speak about PROTECTING or DATA that is stolen from trusted individuals within. One of the most severe threats facing our Businesses and Corporations is the threat of a DATA BREACH. Regardless of the motivation, nature of their associated tactics, techniques, and procedures; the breach in DATA pose a severe challenge to the existence of your organizations future. The persistent nature of this threat and the expectation that it will continue to rank as the most likely scenario; Board executives and administrators will need to contend with soon. The goal of my presentation is to inform Executives/Administrators key signs to help reduce/prevent DATA loss using corporate espionage and theft. Mr. Stacey Jenkins Detective, Fort Wayne (Indiana) Police Dept. Stacey Jenkins is currently working as a Detective with the Fort Wayne (Indiana) Police Dept., Gang, and Violent Crimes Unit. There is still much unexplored potential in the realm of virtualization, and until recently, developers have only scratched the surface. We have an idea for what we believe to be a novel and useful combination of two technologies: unikernels and the Xen Hypervisor. The primary design focus is to potentially be deployed in combat systems, but we believe projects of this nature have much more potential than just that. We will prototype a tool chain composed of vm/unikernel sensors running on Xen Hypervisor to provide reduced attack surface, strong isolation of components and hardware agnostic sensor code that will coordinate over the xen ring buffer and run on linux embedded systems. 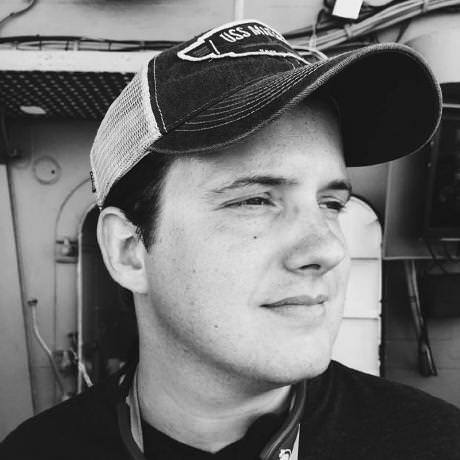 Alex Speasmaker has a degree in Computer Science from Texas State University has been working in the cybersecurity industry for over 5 years and has been doing development with Xen for almost 2 of those years. He currently works for StarLab in the research department where he has been developing an isolated network stack that works by intercepting network syscalls and forwarding them over the ring buffer to another VM. He has two cats, a new dog, and a beautiful wife. With an increasing number of breaches leaking AWS secret keys, companies are working to be proactive and are looking for red-team-like post exploitation penetration tests, so that they can be sure that their client data is as safe as possible post-breach. Due to this need and the lack of AWS specific attack tools, I wrote Pacu, a modular, open source Amazon Web Services post exploitation attack tool created and used for Rhino Security Labs pentests. In this talk I will cover how red teamers can use Pacu to simulate real-world attack scenarios against AWS environments, starting from information gathering, through exploitation, privilege escalation, data exfiltration and even providing reporting documentation. It will be released as an open source project to encourage collaboration and discussion of different AWS attack techniques and methodologies with both attackers and defenders. This way, both myself and the community can contribute new modules to expand the functionality and usefulness of Pacu continuously. 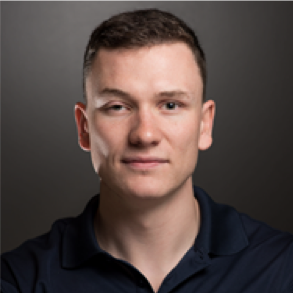 With a background in software development, Spencer Gietzen is a penetration tester with Rhino Security Labs. His primary focus as a penetration tester is security relating to Amazon Web Services post exploitation and configuration, where he has found success in discovering multiple vulnerabilities and attack vectors through extensive research. Business email compromises have been all the rage for incident responders in 2018, but what is it really and why are they so successful. In this session, we will display the anatomy of a business email compromise, where they are most successful, and where organizations are beginning to turn with regards to hoping they don't happen again, and the answer is that its not a technical problem. We address the people aspect and what human behaviors can be identified and modified to understand who is the most likely target. 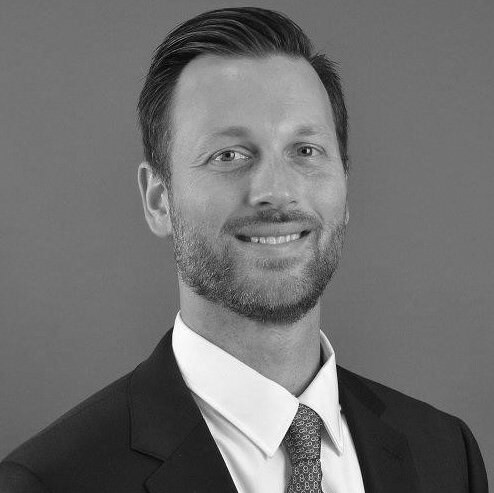 William Dixon is an Associate Managing Director in Kroll’s Cyber Security and Investigations practice in the Los Angeles office. 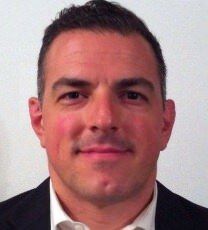 He lead’s Kroll’s proactive and incident response services for clients in North America. Bill is an experienced information security services executive, who over a 17-year career has served in both technical and client management roles with Fortune 500 firms as well as start-up ventures. Smart devices that you can control with a smartphone from any part the world become more common. The speakers discovered vulnerabilities in a robotic vacuum cleaner,and cameras of same manufacturer, which surprisingly allowed arbitrary code execution. They also found flaws in IP cameras from a supplier of collateral equipment for this vacuum cleaner. Remote code execution allows hacker run at your vacuum cleaner reverse socks proxy,and software that could be used for sniffing traffic and much more. We will show, how deep the rabbit security hole. Leonid Krolle Specialist at Banking System Security Research, Positive Technologies. Engaged in IT from 1990; in information security, from 2000. Bug bounty hunter. Virtually every organizations have deployed network security devices on perimeter or out of band to protect against adversaries. These devices typically act as the first line of defense against attacks by adversaries.However, these network devices are extremely inadequate to protect against trivial attacks, let alone any advanced or zero day attack.In this talk we will demonstrate how it is possible to take a existing exploit attack that has been known to be protected against by these devices, apply different HTTP evasion techniques and make these device invisible to the attacks.These categories of the attacks will make any exploit delivered via HTTP protocol blind to the network appliances. We will be talking about different evasion techniques that can be developed against these appliance and also the best practice that can be utilized to remediate these attacks. Next time, you buy any expensive Next Generation Firewall or Intrusion Prevention system, make sure these devices can handle different evasion technique that we demonstrate. 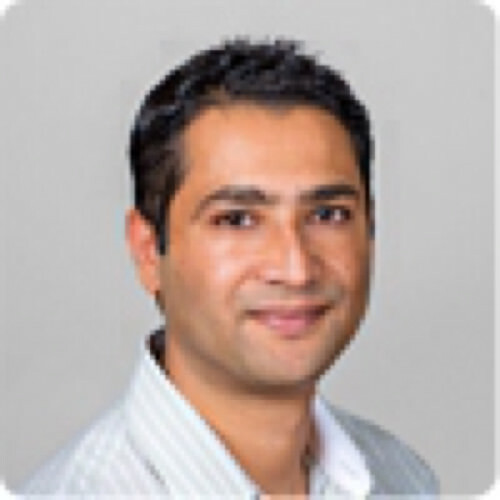 Jayendra Pathak is Chief Architect and Head of offensive security research at NSS Labs. With over 10 years of experience in security research and building scalable solutions, Jayendra brings a wealth of experience in properly testing Security solutions.Jayendra has Presented at various Conferences like AusCert,Avar,ISOI etc on Security research. Edsel Valle is a Security Researcher at NSS Labs. With over 1 year of experience working as Test engineer, Edsel has shown to be effective at getting past endpoint and network security solutions. Akamai research shows that 25% of all web transactions on the web today are API calls, and we expect this to continue to increase rapidly. Part of this growth can be attributed to the proliferation of mobile applications, the need to integrate applications and devices with remote systems, and the heavy abuse by threat actors using BOTs to automate their manual processes. From credential stuffing and ATO (Account Take Over) attacks to commerce sales fraud (Sniper Bots) the attackers know APIs are often overlooked, thus ripe for attack. In this sessions we’ll discuss API attack trends, deserialization vulnerabilities, and some of the main shortcomings of web security blue team techniques when it comes to inspecting and protecting web and mobile APIs. Tony Lauro is Director of Technology & Security Strategy for Akamai Technologies. With over 20 years of Information Security industry experience Tony has worked with Akamai’s top global clients to provide cyber security guidance, architectural analysis and web application security expertise. Tony has worked and consulted in many verticals including finance, automotive, medical/healthcare, enterprise, and mobile applications. 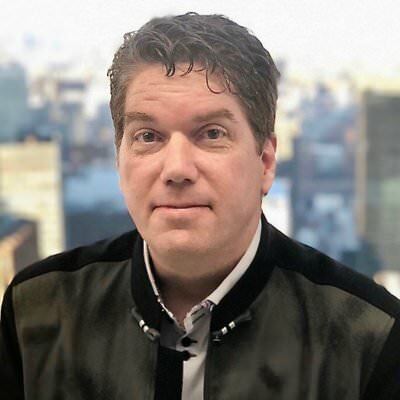 He is currently responsible for Akamai’s North America clients as well the training of an Akamai internal group whose focus is on Web Application Security / and adversarial resiliency disciplines. Tony’s previous responsibilities include consulting with public sector/government clients at Akamai, managing security operations for a mobile payments company, and overseeing security and compliance responsibilities for a global financial software services organization. Two years ago, I left a fulltime career at NSA, where I worked in TAO as a software developer to produce foreign intelligence, defend our infrastructure, and exploit nation states. When I entered the private sector, I noticed some glaring problems in the cyber security industry. In particular, the defense side is really struggling to keep their heads above water. The main points of the talk focus on the talent gap, the overwhelming number and complexity of defensive tools, and the lack of support for network defenders. Fundamentally, the industry is struggling because, at its core, the defensive techniques and focus have not changed; while adversary goals, expectations, and tactics adjust and pivot around the color-by-number defense approach to network security. 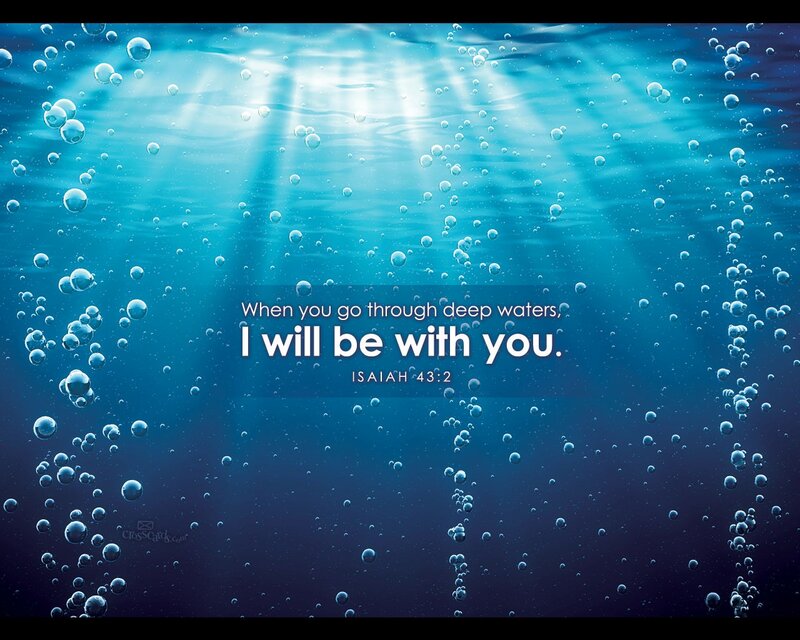 All is not lost. The defenders own the battlefield and through proper instrumentation and preparedness, realistic and resilient detection and containment are attainable. Nine years of experience within the U.S. Intelligence Community as a network security researcher and software engineer. Rob got to observe APTs (Advanced Persistent Threats) and nation state actors from the front row seats, making him a subject matter expert in offensive and defensive network and endpoint capabilities. He also helped train junior developers at the NSA and U.S. Cyber Command and lead engineering teams to develop new capabilities. After leaving the government, Rob cofounded and works on technology at Level Effect in San Antonio, Texas. The number one question that someone starting out with container technology always seems to have is "Where do I get started?" While this appears to be a simple question for some, as the quick responses are "Read the docs" or "What questions do you have?" What happens, though, when the docs look like they were written in Greek and you didn't manage to take that one Greek language elective in high school? Or you simply just don't know enough to know what you should be asking? If you have found yourself in this situation, this is the perfect talk to attend. We will go over the basics of container technology by answering the basic questions: who, what, when, where and why. This talk is focused on real world hacking in the Middle East from 2015-2018. We will discuss the data, my research methods, analysis, trends, reporting, prioritization, and go over several examples from the field. Samuel Kimmons is a Network Forensic Analyst and Cyber Threat Emulator at the Air Force Computer Emergency Response Team (AFCERT). He has several years of experience which include, endpoint security, vulnerability management, penetration testing, and system administration. Samuel is currently a Staff Sergeant and holds the Air Force Specialty Code (AFSC) of Cyber Warfare Operator (1B4X1). He is responsible for analyzing alerts from various security devices and conducting thorough investigations on potentially malicious activity. In addition to his experience as an analyst he is also responsible for conducting Blue Team and Black Box assessments on the Air Force’s DMZ assets. 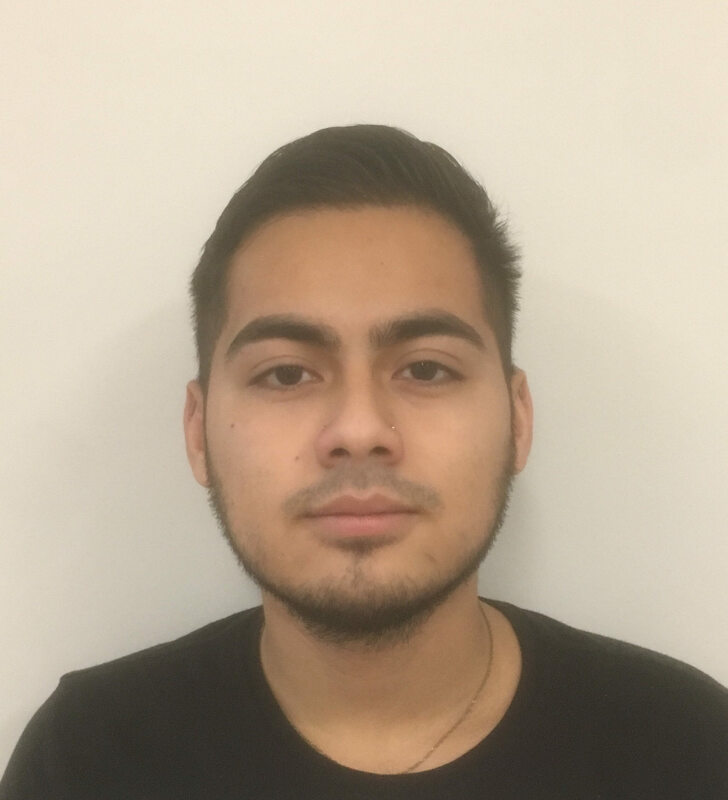 Along with his work experience and training Samuel also holds GCIH, GWAPT, +other certs, and is currently pursuing a Master’s of Science in Cyber Security at New York University. When he’s not diving head first into security research, he tries to spend as much time with his family as possible. Supply chain attacks are a gold standard of exploitation. Malicious software coming through the same channels as legitimate software is not in your threat model since it is nearly impossible to defend against. But supply chain attacks are often assumed to be expensive, time-consuming, and personally risky; exclusively the domain of intelligence services or well-funded criminal groups. This talk will show how anyone can launch similar software supply chain attacks that are effective against a global audience, and do so in ways that are nearly impossible to trace. It will examine numerous popular software distribution methods and show how most of them have readily exploitable weaknesses. For the popular software repositories, this talk will demonstrate how easy it is to upload unverified malicious code, and how it will be executed on countless systems with just a single errant keystroke or no mistake at all. This presentation will show how comprehensive public information also enables us to identify and target individuals trusted by enormous user bases and automate credential theft and infection of widely trusted software from source to distribution to end user. Finally, this talk will show the results when many of these actions were performed in the wild with proof-of-concept non-malicious packages created to test and validate these infection vectors. Matt Weeks currently leads root9B's research and development arm. As a researcher, he has uncovered a number of major vulnerabilities in various products. He runs the site http://www.scriptjunkie.us/ and is on the national CCDC red team. Previously, he led the USAF's intrusion forensics and reverse engineering lab and the creation of their enterprise hunt teams. Next, he's planning on standing up the Sharknado Response Team, to conduct regular chainsaw drills in preparation for the unthinkable, yet inevitable Sharknado apocalypse. Founded in 1990, WWT has grown from a small product reseller into a technology solution provider with $10.4 billion in annual revenue and more than 5,000 employees. We serve the technology needs of large public and private organizations around the globe, including many of the world’s best-known brands. WWT ranks 8 on Glassdoors’ Best Places to Work in 2018 list and 40 on Fortune’s 100 Best Companies to Work For list. This talk will include vendor responses, new firmware, additional attacks, and more demos! The police body camera market has been growing in popularity over the last few years. A recent (2016) Johns Hopkins University market survey found 60 different models have been produced specifically for law enforcement use. Rapid adoption is fueling this meteoric increase in availability and utilization. Additionally, device manufactures are attempting to package more and more technology into these devices. This has caused a deficiency in local municipalities' skills and budget to accurately assess the attack surface and exposure to the organization. Furthermore, departmental policies and procedures governing the secure deployment of these devices is largely insufficient. At Texas Cyber Summit, we will be introducing tactics, techniques, and procedures to assess the security of these devices. We will cover attacks against the physical devices, RF components, smartphone app's, and desktop software. The capabilities demonstrated and discussed will encompass publicly and privately available technologies. Additionally, the talk will cover multiple products and vendors, shedding light on industry wide issues and trends. Finally, we will be releasing software to detect and track various devices and tie these issues into real world events. Reverse Software Engineer and programmer with 11+ years experience in software reverse engineering, malware analysis, vulnerability analysis, and exploitation development. Developed software on Unix, Linux and Windows platforms in the Python, Ruby, C++, C, and Assembly languages. Experienced with debuggers, IDEs, application fuzzers and reverse engineering tools. Strong grasp of operating system fundamentals, including interrupts, threading, virtual memory, device drivers and memory management techniques. Possess a knowledge and understanding of operating system internals, device drivers, integration of code with the operating system kernel. Also experienced with code and resource optimization. Have exercised presentation skills in conference, laboratory and classroom settings, demonstrating research findings and giving lectures. 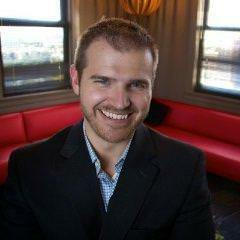 Tyler Baker is a Team Lead for Rackspace Managed Security. He leads a team of threat intelligence analysts enriching events, hunts, and provides support to incident response. Seasoned business executive with a well rounded background and over 30 years experience in technology based companies. I have been a software developer, field systems engineer, M&A director, Sales VP, and CEO. My present aspiration is to assist early, and growth stage, technology companies to reach their full potential in their respective market by advising them on rapid market expansion, corporate development, and corporate strategy. 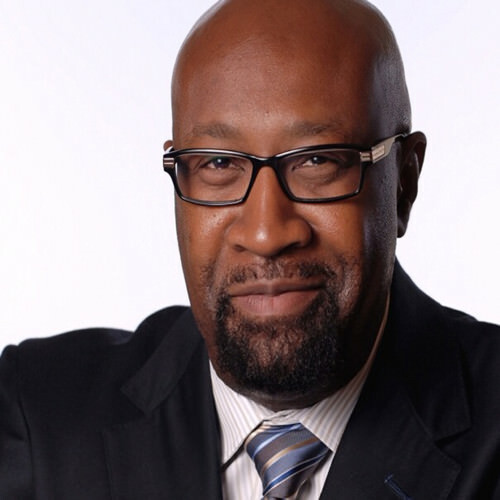 Craig comes to City of San Antonio(COSA) with more than 20 years of experience at USAA leading efforts in customer service, digital transformation, corporate strategy, information technology, procurement and innovation. Bernie will be talking about the importance of attracting K-12 students to STEM education. He will also cover the component of CyberPatriot. Mr. Skoch has more than 20 years of experience in leadership positions developing, managing and implementing communications and information systems for the United States Air Force as well as the Defense Information Systems Agency (DISA). During his time at DISA he served as the Principal Director for Customer Advocacy and also as the Principal Director for Network Services. Within the USAF he served as Director of Mission Systems, Director of Communications Operations, and Director of Chief Information Officer Support where he was responsible for aligning information technology systems with business process improvements. He has developed policies for global telephone, video, radio, voice, data and satellite systems. Before joining CyberPatriot, Skoch was a consultant in the cyber and IT industry. Marcus Benavidez, is the director of Open Cloud Academy, a unique hands-on learning academy that provides students the knowledge, skills, and confidence they need to enter into the IT workforce. 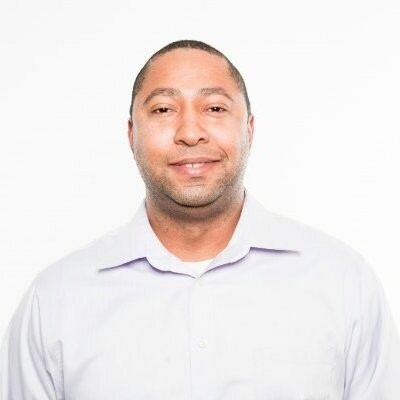 Marcus has held numerous roles in his 11 year career at Rackspace including positions in sales and account management. Marcus holds a degree in Criminal Justice from the University of Texas at San Antonio and looks forward to welcoming his first bundle of joy early next year. 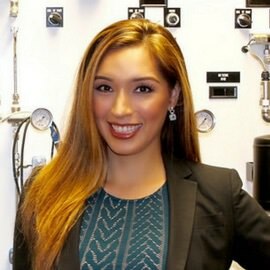 Samantha Domingo , is a world-class business professional and Military Talent & Technical Recruiter with over a decade of experience in human resources, talent acquisitions, healthcare, technology, and international business development/relations. Samantha’s extensive education and business experience are a direct result of her exposure to the military culture and more than 20+ years of living abroad in 13 different countries. The enriching experiencing of living and traveling abroad for much of her life has allowed Samantha to gain an unfettered appreciation for cultural diversity and a unique perspective on business. 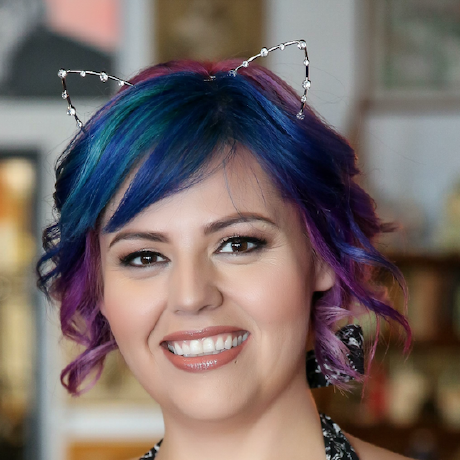 With a worldview and keen focus on military talent recruitment to technology, she joined Rackspace in 2018 and is aligned with Cyber Security & Technical Product recruitment. Samantha is the Military Talent & Technical Recruiter assisting with talent acquisitions branding & military hiring strategy development as part of Rackspace’s Diversity & Inclusion initiatives. She is a Hiring Our Heroes MSEEZ IT Technical Chair, a USO Pathfinder, a Veterati Mentor & an active volunteer in the community assisting military families with career transition to the civilian sector. As a Military Spouse of an Air Force Veteran & a Military Brat of a retired Air Force Command Chief, she brings a unique perspective, deep experience and a Fanatical passion to the organization’s military talent & cyber security recruitment efforts.